Anyone that's ever tried to fly to Denver knows it's not a cheap city to fly to. Fares usually hover in the $500 range or more. As a Calgarian, it's not exactly the most exciting place to visit, especially out of ski season. In fact it's eery how similar Calgary and Denver look and feel, with the Rocky Mountain backdrop. But maybe someone out there will find this deal useful. 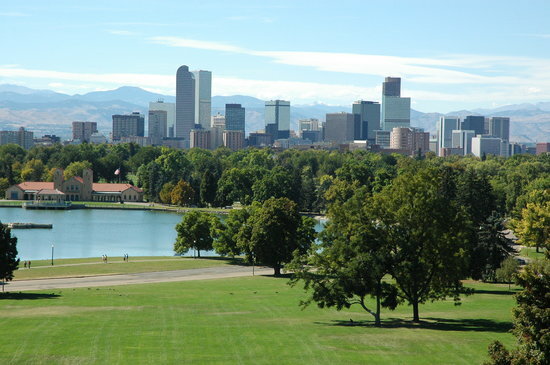 calgary, yyc, united states, flight deals, united, denver, den and colorado. 5 Responses to "Calgary to Denver - $290 roundtrip after tax"
Just wanted to thank you for setting this up, it's a great resource and I wanted to thank you on behalf of a ton of people who have probably used your site but not had the opportunity to say thanks. Please keep up all the great work! hey thanks for the tip, but am i still unable to book on united.com with a canadian credit card? do i not have to use united.ca? Good point Labf, I should probably point people towards United.ca instead. You can book through United.com using PayPal though. Or you can just use Orbitz.